In an earlier post, I provided an overview on how VMware’s vCloud Director (vCD) integrates with vCloud Automation Center (vCAC) in the Enterprise version of their vCloud Suite. 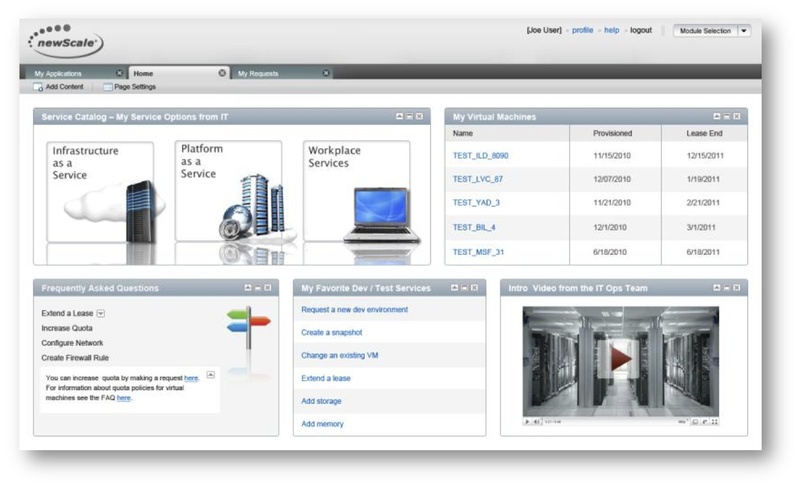 In this post, I want to take a look at how vCD integrates with the Cisco Intelligent Automation for Cloud (CIAC) Suite. This is particularly relevant in light of the recent news that VCE will be reselling CIAC on a Vblock; Jeramiah Dooley, also of VCE, blogged on this recently. First, some background on CIAC since many are perhaps less familiar with Cisco’s Cloud Software offerings than those from VMware. CIAC is primarily a combination of products from two companies acquired by Cisco, newScale and Tidal (LineSider is the third company); both acquisitions were designed to bolster Cisco’s position as a Cloud infrastructure software vendor. 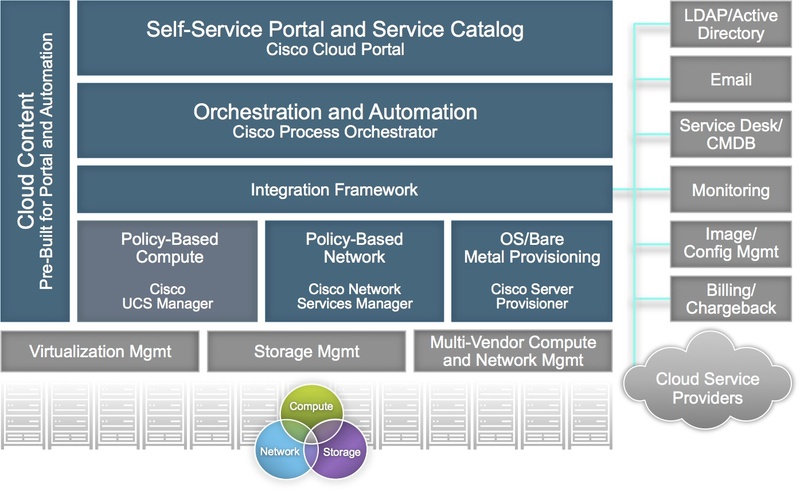 The newScale Suite, renamed Cisco Cloud Portal (CCP), provides the Cloud administrator dashboard and self-service user portal for requesting Cloud resources while the Tidal Enterprise Orchestrator, renamed Cisco Process Orchestrator (CPO), provides the capability to automate the provisioning of those requested Cloud resources. CCP manages the self-service web portal, from which users can browse and consume resources found in service catalogs. These service catalogs present resources with specific business and IT policies applied to them. Management of these resources, which can be physical or virtual, are handled by CPO, which orchestrates the provisioning of infrastructure resources and groups them logically into management units called Points of Delivery (PODs). These PODs host multi-tenant resource pools called Virtual Data Centers (VDCs), not to be confused with vCloud Director’s own virtual Data Centers (vDCs). 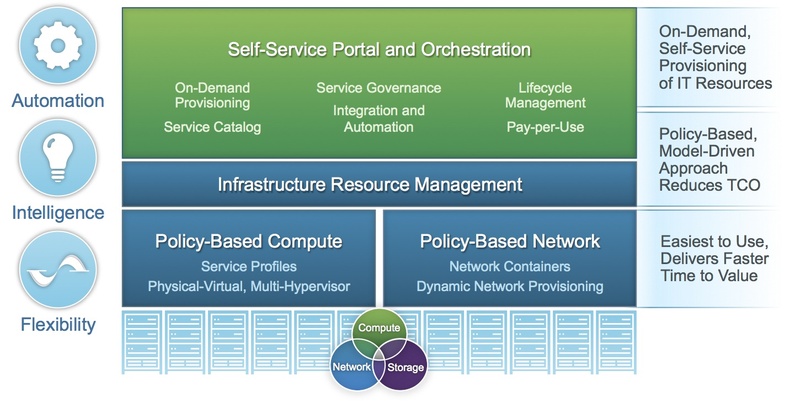 A POD is defined as unit of infrastructure, composed of Cisco UCS compute, Cisco network, some form of shared storage and optionally, a vCenter Data Center. These can be discrete components that are integrated together by the end-user, part of a reference architecture, such as an EMC VSPEX or NetApp FlexPod, or part of a converged infrastructure, such as a VCE Vblock. The boundaries of a POD is a single UCS domain and the POD functions as a the physical building block for a CIAC VDC. As you can see, this means that vCloud Director is not a prerequisite for CIAC to create their VDCs or to enable a Cloud infrastructure. However, CIAC has the ability to integrate with and to manage third-party Cloud/infrastructure environments, including Amazon’s EC2, OpenStack, and vCloud Director. According to Cisco, this integration allows CIAC to be the “manager-of-managers” for heterogeneous Cloud environments, much the same as the claims made for vCAC. Utilizing the vCD Solution Accelerator Kit, which is an optional component of CIAC’s Multi-Cloud Accelerator Kit, CIAC is able to perform an infrastructure discovery of vCloud Director and its virtual Data Centers. 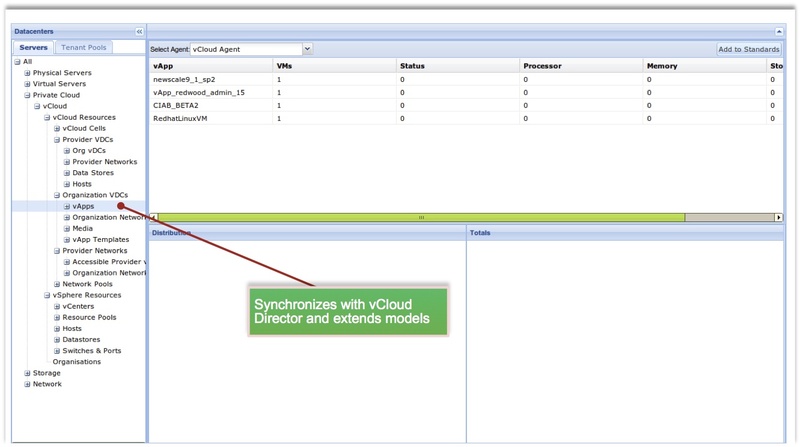 This discovery leverages the vCloud Director REST APIs. CIAC and vCD is synchronized periodically via the vCloud API so changes can be made from either the CCP or vCD Administrator dashboards. Clearly, VMware’s answer to CIAC is their recently rechristened vCAC product. The answer as to which product to choose will depend in large part on the feature sets, strengths, and weaknesses of each; but it is as likely that the choice will come down to which vendor, Cisco or VMware, a given user decides should be their strategic Private Cloud vendor of choice. Hopefully, this will give vCloud Director administrators, who may be unfamiliar with CIAC, a better understanding of how the two management platforms can co-exist.